Welcome to this edition of the Terrace Times. 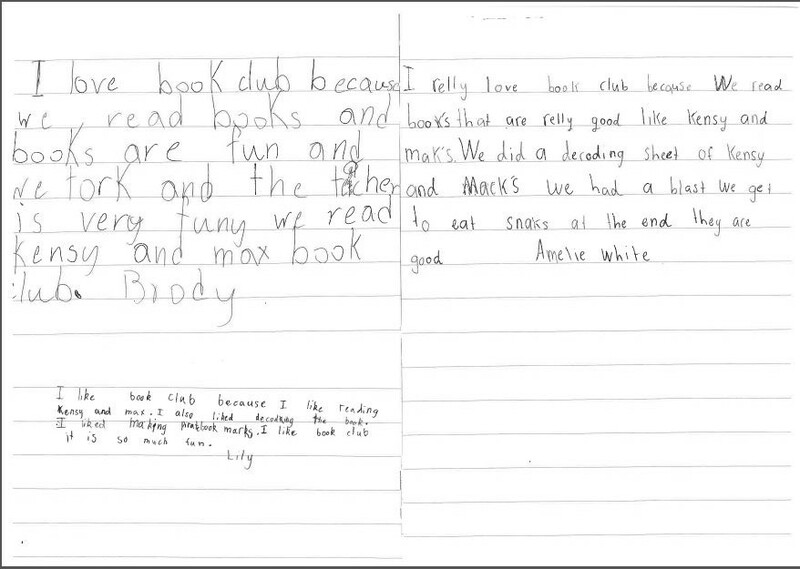 I have mentioned in our newsletter a number of times the importance of reading to your child and them reading to you. Reading is a fundamental skill your child will use for the rest of their life – so why stop when they’re just getting started? Sharing stories and reading aloud with your child strengthens their skills in reading, writing and comprehension. It builds their confidence and sense of security. It creates those special moments with your child that you cherish. That’s why you should Never Stop Reading! Reading is such an important life-skill; it is imperative that students continue to develop their abilities and skill-set, not only through the Primary years, but also into secondary and beyond. 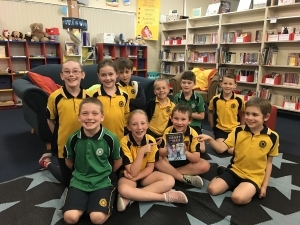 We have our BEARS Reading Program in the Junior Primary (Pre-Primary to Year 3) and our Scholastics Lexile Pro Program in Senior Primary (Year 3 – Year 6). These programs are a great tool to continue to encourage your child to read every night … either to you (out loud) or to themselves. The Department of Education has launched a program called Never Stop Reading! 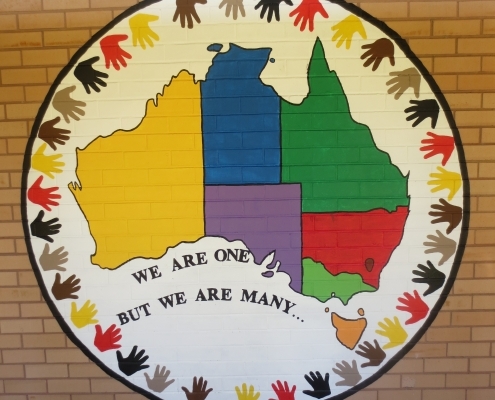 https://www.education.wa.edu.au/neverstopreading Have a look at the resources on this page that will help you keep your child motivated. Together we will help our students achieve. Our wonderful choir will be performing at the Morley Baptist Church next Sunday (9 December) in the late afternoon or early evening. 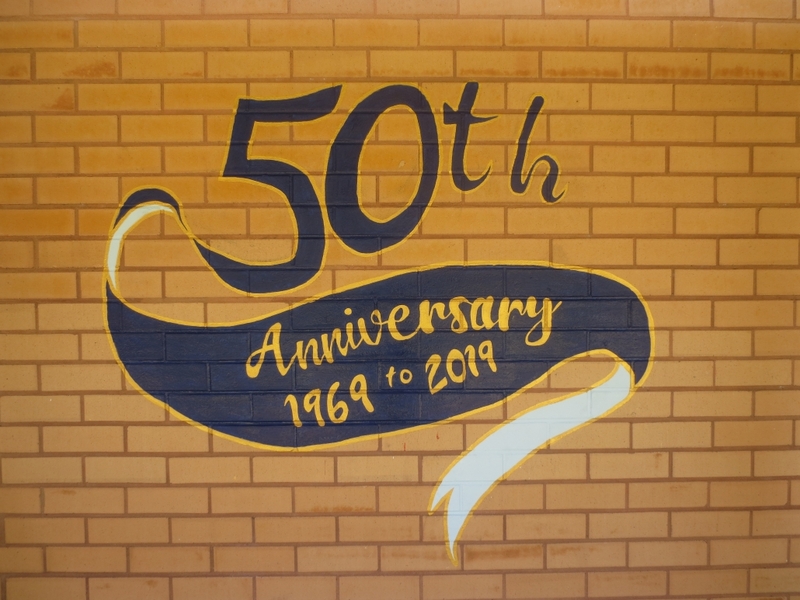 If you have the time, make sure you pop down to 33 Hanwell Way, Bassendean (just behind the park on Broadway) to see them perform as well as partake in the fun activities that will be taking place that night. It was a great privilege to go on camp with the Year 6 students to Point Peron last week. 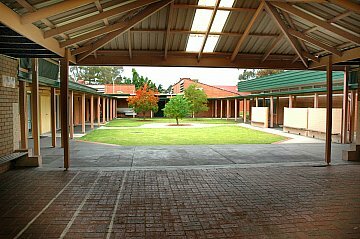 Whilst tiring (I need sleep), it was extremely rewarding to watch all students face the great unknown … face fear … face challenges. I also had the privilege of watching them all succeed at their own level. Through activities such as prusiking, rock climbing, kayaking, raft building or archery (to name a few), I observed students setting themselves goals and then striving to beat them. 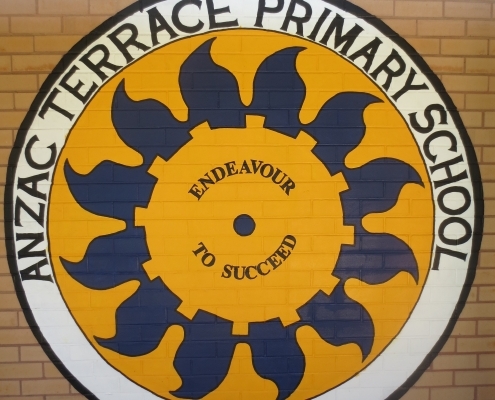 A HUGE thanks to Ms Amanda McAlpine, Ms Maggie Bott (prac student) and Mr Callan Bosley for giving up their own time (and sleep) to ensure the students had a valuable and enjoyable time. 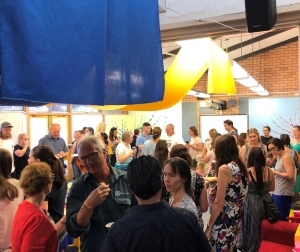 It was wonderful to see so many parents and grandparents (and uncles and aunts) at our Volunteers Morning Tea yesterday. As I said in my speech, we cannot do the job we do without your support and helping hands. Thank you also to the wonderful staff who catered for the event. 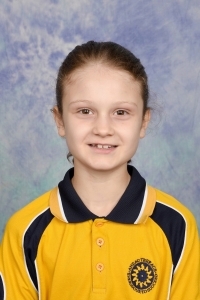 As Principal, it is my responsibility to call for nominations for School Council Members, Parent Representative. Therefore, nominations are now open. 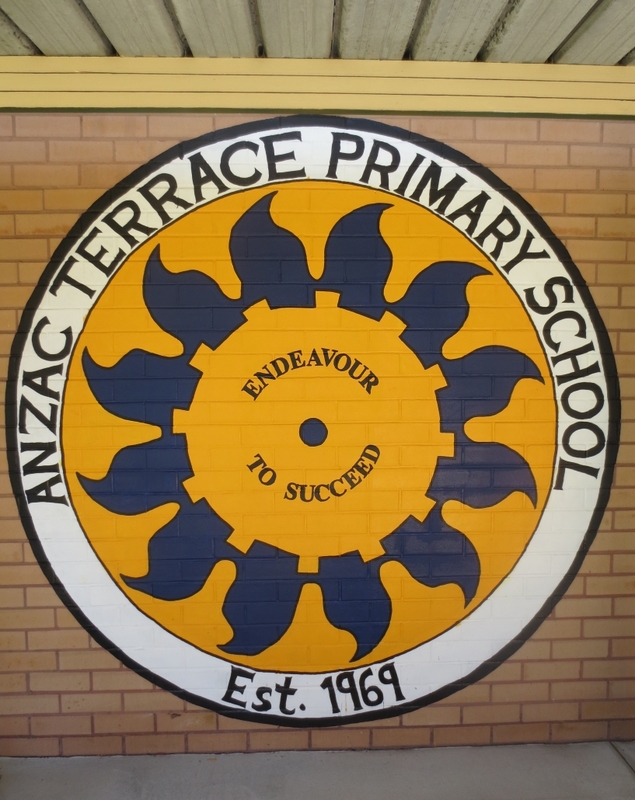 There are three Parent Representative positions available. Please read the information and nomination form attached. If you are interested in running for School Council, please complete the nomination form and return it to the school office before 3pm 14th February. Should more than 3 parents nominate for these positions, I will hold an election on the 15th February. 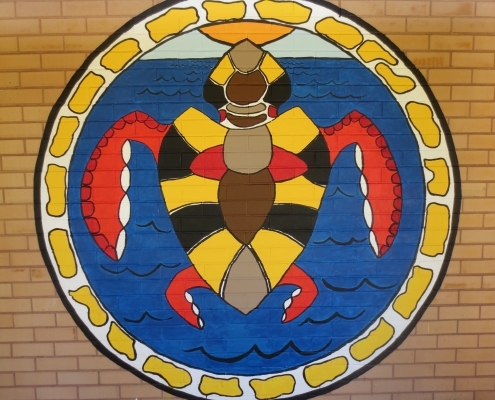 Please read Adam’s School Council note later in this newsletter and if you have any additional questions regarding the School Council, please don’t hesitate to contact Adam or myself. 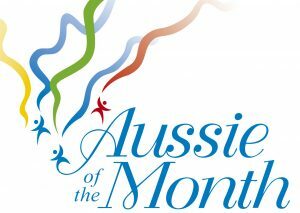 The Aussie of the Month award recognises personal endeavour, achievement and contribution to the community. 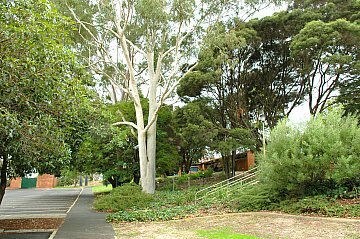 The awards also reflect some of the values we share as Australians, a sense of fair play, generosity of spirit, commitment to community participation and a real concern for the environment. 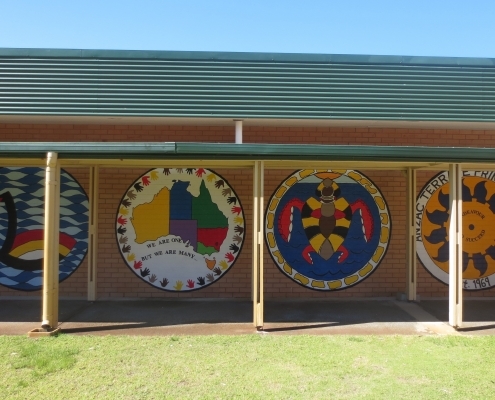 Twice a Term, two students are chosen as the Aussies of the Month and the recipients are presented with the Aussie of the Month badge and certificate at a school assembly. The certificate and badge is kept by recipients as a memento of the occasion. 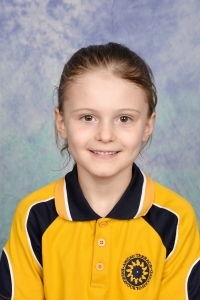 Congratulations to Millicent and Georgia our Aussies of the Month for November. Well done! 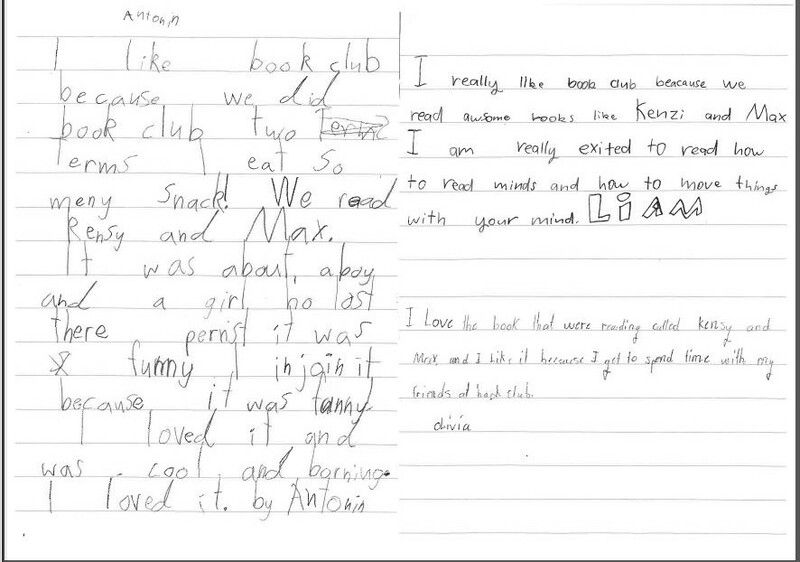 In Terms 3 and 4 the above students, from Years 2 and 3, attended our Junior Book Club. We met every Monday and had our last session was Monday 19 November. We had a great time reading new books and watching book trailers. 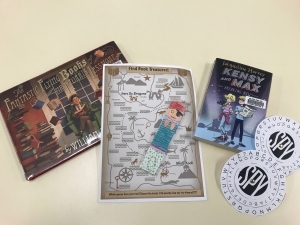 In the first week we made Pirate bookmarks to use – these coincided with Book Week ‘Find Your Treasure’. I also handed out a ‘Pirate Treasure Genre’ sheet for the kids to complete. We watched the short movie and compared the book of ‘The Fantastic Flying Books of Mr Morris Lessmore’. We then started reading a new book called ‘Kensy and Max – Breaking News’ by Jacqueline Harvey. It was an exciting mystery book, each chapter had to be decoded with our special Decoder that the kids made. I hope everyone enjoyed Book Club as much as I did. 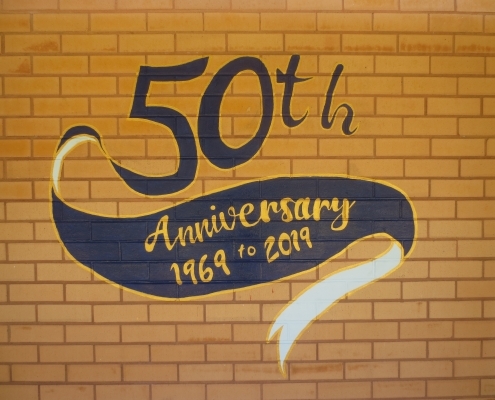 Come and have a look at our 50th Anniversary Mural. Congratulations to the following students who were presented with an Honour Certificate at the last Assembly. Students receive Honour Certificates as acknowledgement for achievement in academic success, social skills and thoughtfulness to others. 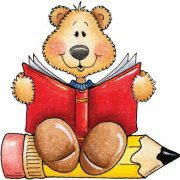 As most of our students read each night, the BEARS reading program is not extra work for students, parents and caregivers or teachers, it is simply a method of calculating the number of nights the students read, and then rewards them at strategic numbers, eg 50, 100, 200 and so on. 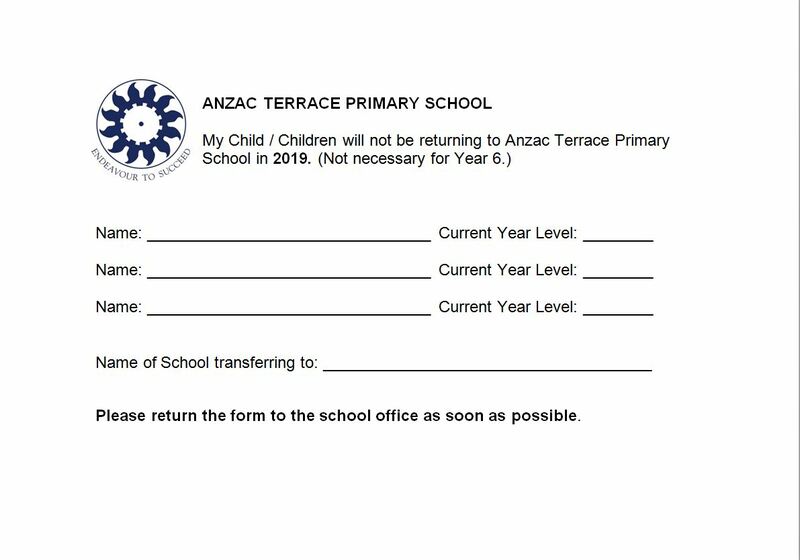 Please complete and return the attached form to the School Office if your child/ren are not returning to Anzac Terrace Primary School in 2019. Christmas is just around the corner and we need your support once again to give to others in need. 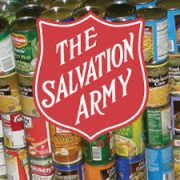 Please send any non-perishable food items (for example, packets and cans) to your child’s classroom. 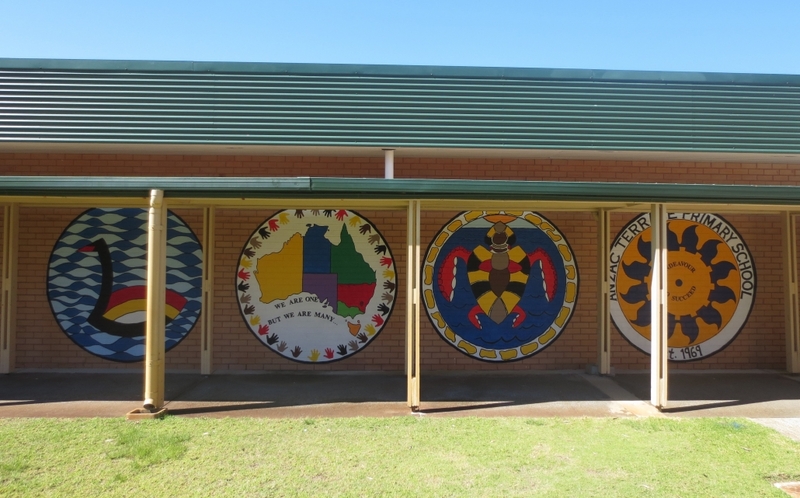 They will be collected weekly with year, room and school totals displayed in the Library for each classroom. The food is put into hampers to brighten the Christmas of families in need. 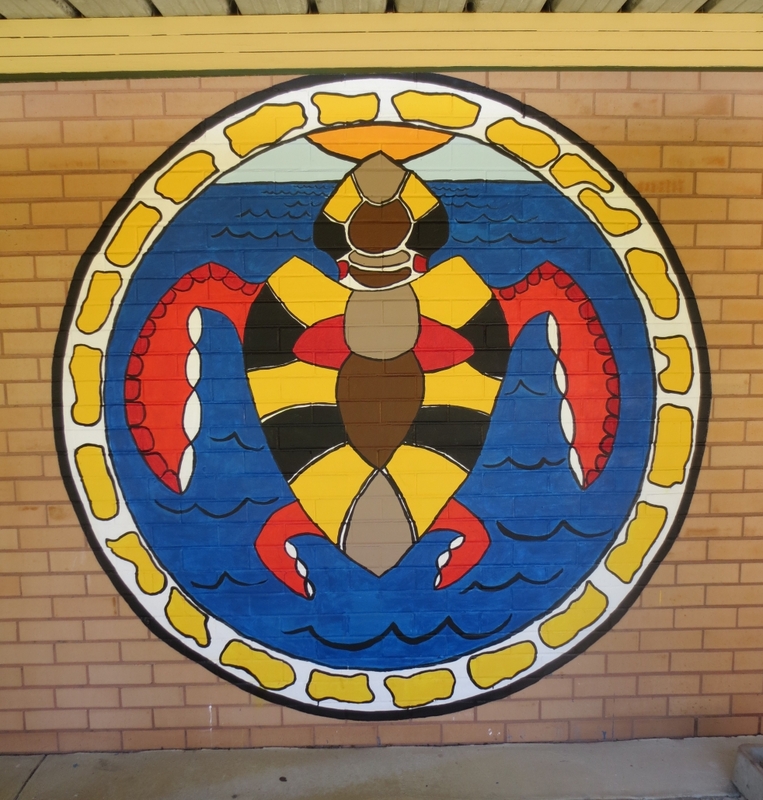 As alluded to by Mr Blackwood, your School Council is seeking nominations for new members in 2019. Due to set terms of service, the Council will be saying goodbye to several members at the end of the year and needs some new committed and enthusiastic members to join its number. If you are not sure what is involved, please feel free to ask Mr Blackwood or send us an email at ATPS_Council@outllok.com. 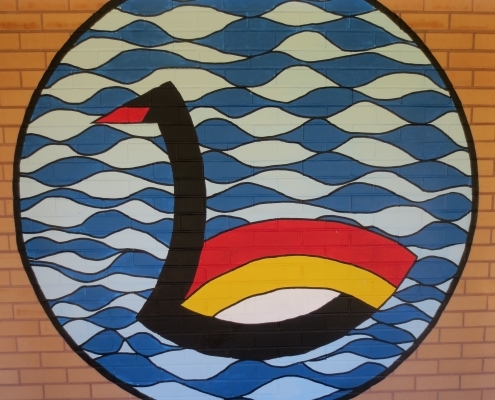 If you are looking for a place where your little ones can play with other children or you are looking for a bit of socialising then click on the link below for more information. All families must be enrolled to attend the program, remember this is easy and free!! 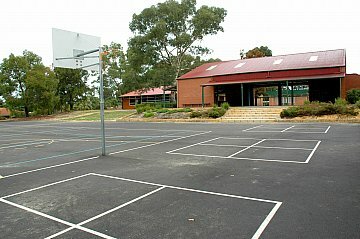 Please create an account online at http://www.oshclub.com.au all bookings and cancellations can also be managed via your online account. 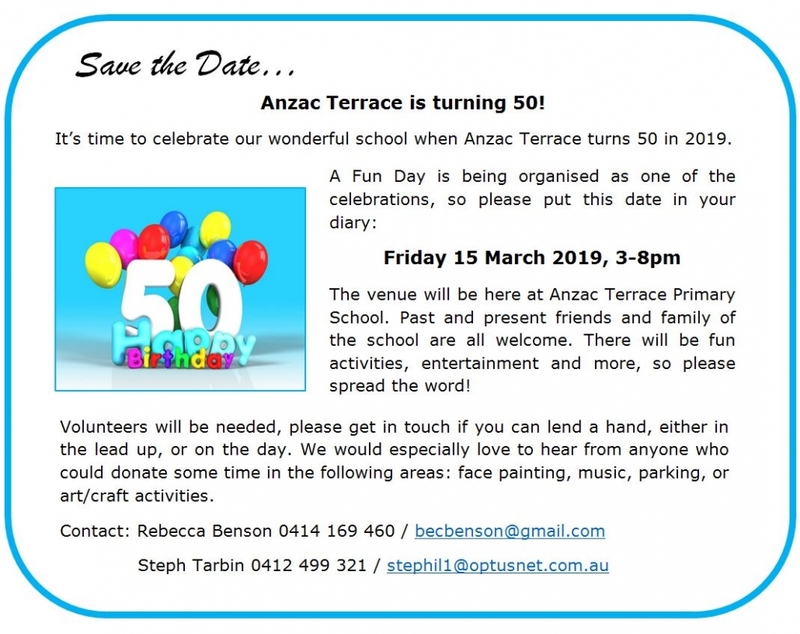 For on the day bookings please contact the Coordinator direct at the program. Welcome to OSHClub news update. We are coming up to the end of the year! What a wonderful year it has been. Watching the children grow and develop their skills is amazing for us educators. 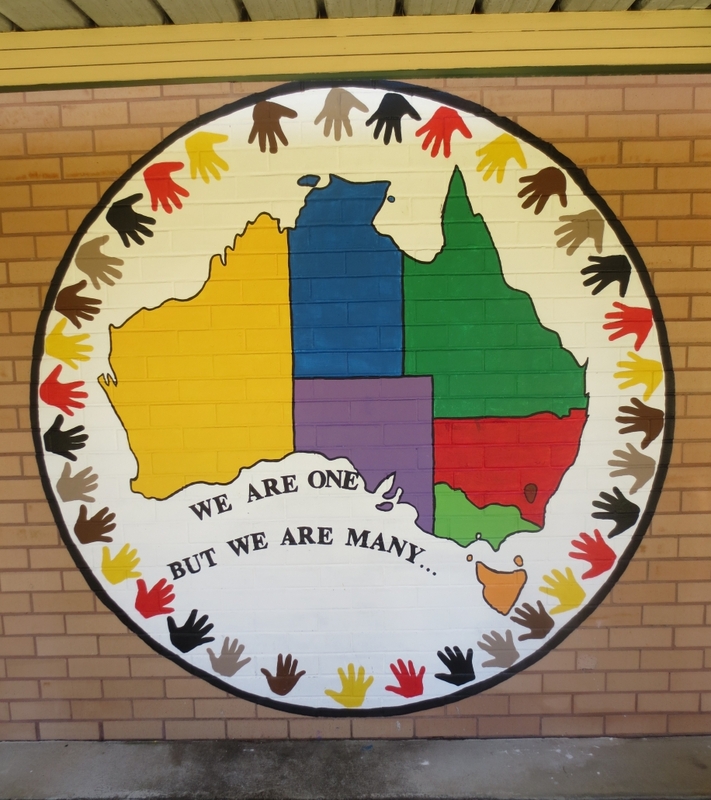 We have had some new staff this year- Jennifer Archer left us to venture to the gold coast which welcomed Monique Wright in the coordinator’s role and Chloe Wade as the new educator who has come from England with a Physical Education background. 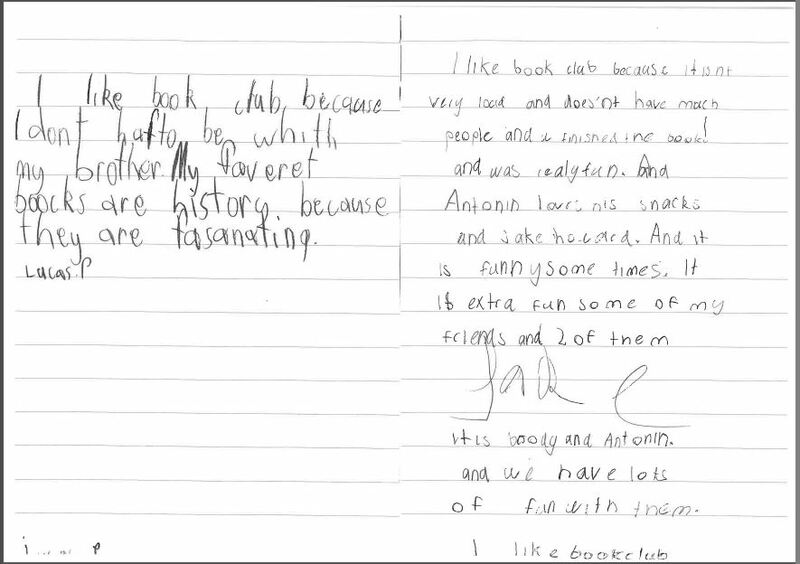 The children have made great relationships with us through the terms. A special thank you to the parents for the support, trust and donations to our two Oshclub pets- the spiny leaf insects who need a bigger home. We love not only developing friendships with your children but with you guys as well! We currently have vacancies for parents looking for or requiring before and after school care for this year or next year. Feel free to come in and see us in our Oshclub room located at cluster C to grab a handbook on how to create an Online account, we are happy to help. 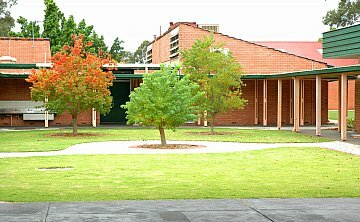 Bassendean Church of Christ in association with the Town of Bassendean, is again holding the Carols by Candlelight. Carols at the Oval will be on Sunday evening 16th December, starting at 7pm. This is a free community event, held at Bassendean Oval (Steel Blue Oval). 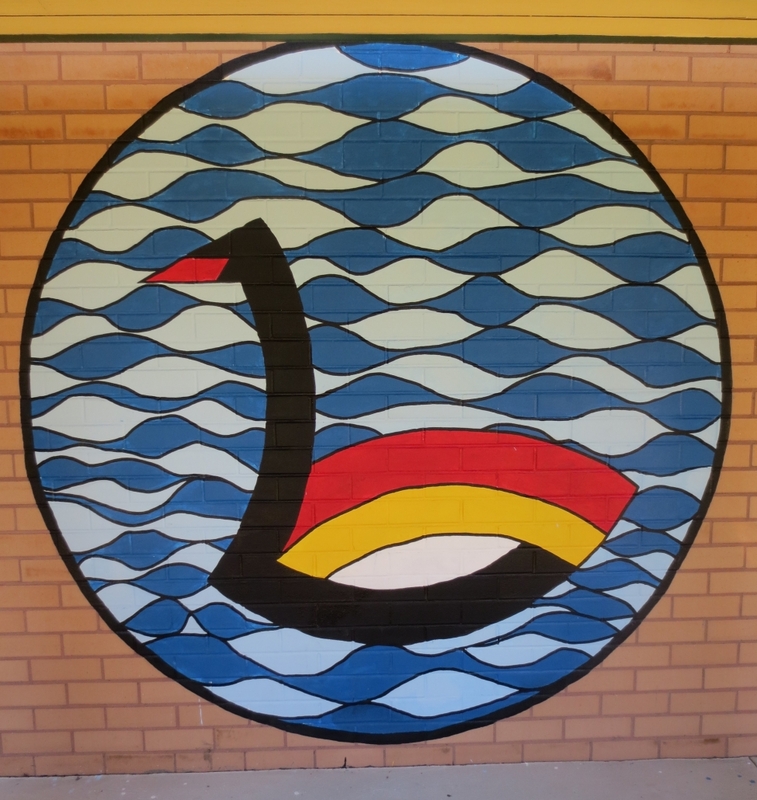 The School provides information on Community activities that may be of interest to students and families but does not have specific knowledge of these activities and does not endorse or recommend a particular product or service that is listed.